CNN's Jim Acosta: "Hey, if they’re not going to let me in the ******* meeting, then that’s what happens." 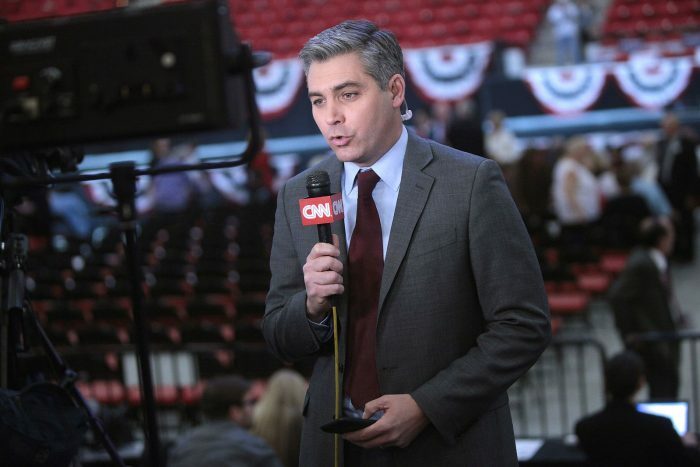 What is it going to take for CNN’s Jim Acosta to finally be fired? At one point Trump and Kim Jong Un paused on the balcony during a break. Jim Acosta started blurting out questions whenever the two leaders stepped out of their meetings — then Acosta was caught in a hot mic moment. Jim Acosta: Mr President, how is the meeting going so far, sir?… Any progress, Mr. President?… Mr. President, how’s it going so far, sir? What do you think? President Trump (from balcony with Kim Jong Un): Very, very good. Jim Acosta: Mr. Kim will you give up your nuclear weapons, sir?